Harris County Municipal Utility District No. 165 is located in northwest Harris County, Texas, approximately 20 miles northwest of the central business district of Houston near the intersection of Fry Road and FM 529. 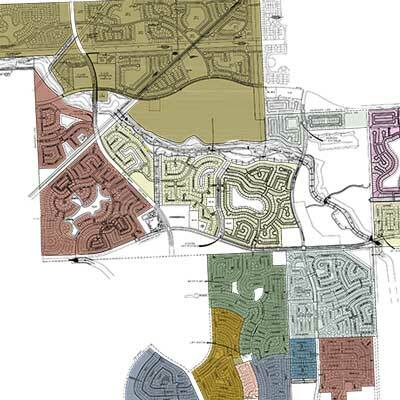 The District is bounded on the north by the future West Road right-of-way, the east by a HL&P easement and HC MUD No. 172, the west by Fry Road and the south by FM 529. The District is wholly within in the extra-territorial jurisdiction (“ETJ”) of the City of Houston. The District was created by Order of the Texas Water Commission (now Texas Commission on Environmental Quality) dated July 6, 1978. In the late 1980s and early 1990s, the District experienced a severe decrease in assessed value and a distressed economy. The taxable value in the District decreased from $26,490,000 in 1987 to a low of $11,198,950 in 1992. The District had to foreclose on hundreds of acres of undeveloped land, had no housing growth, and had to file for bankruptcy. Value of individual homes plummeted and it became hard to re-sell homes in the District. In the mid 1990s, the Board of Directors developed a plan to sell the undeveloped acreage they acquired through foreclosure to make themselves attractive to developers to build in the District and to emerge from bankruptcy. This plan revolved around annexing land to spread the cost of operating the existing water and sewer facilities between more people, to increase the value of property in the District, and to encourage more attractive development. The Directors also hoped this plan would provide more parks and green space for the residents. After emerging from bankruptcy proceedings in 1998, the District decided to promote quality development, including annexations of additional land to share the cost of the original infrastructure across a larger District. This allowed the District to reduce its tax rate. 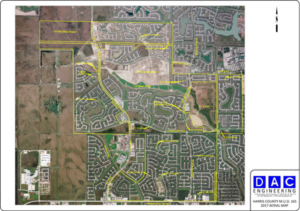 After a series of annexations, the District’s acreage has grown from 441 acres at creation to 2,729 acres; the value has increased from $11,198,950 in 1992 to $868,434,182 in 2015; and the tax rate has decreased from $3.89 in 1989 to $1.20 in 2015.